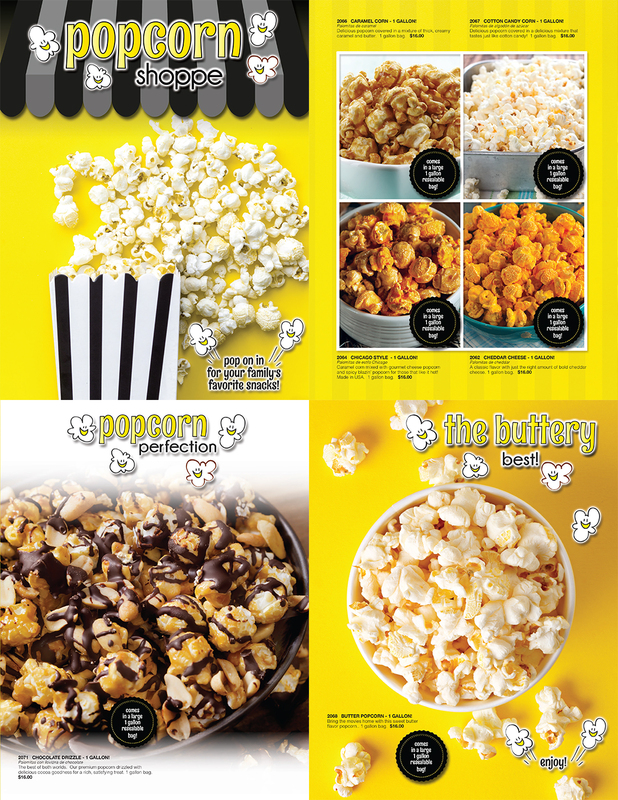 Carmel Corn, Cotton Candy, Chicago Style, Cheddar Cheese and Chocolate Drizzle. 4 page brochure including order form. Everyone loves Popcorn!